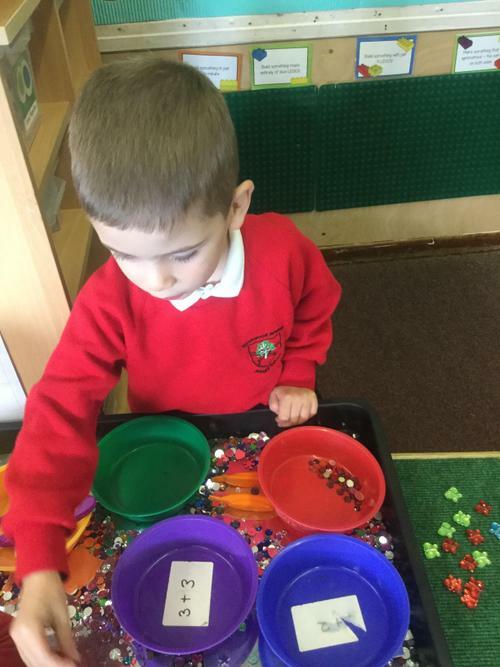 Welcome to Reception! 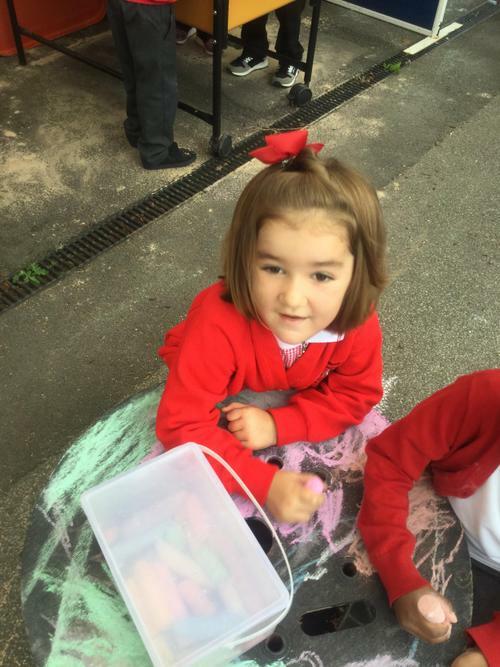 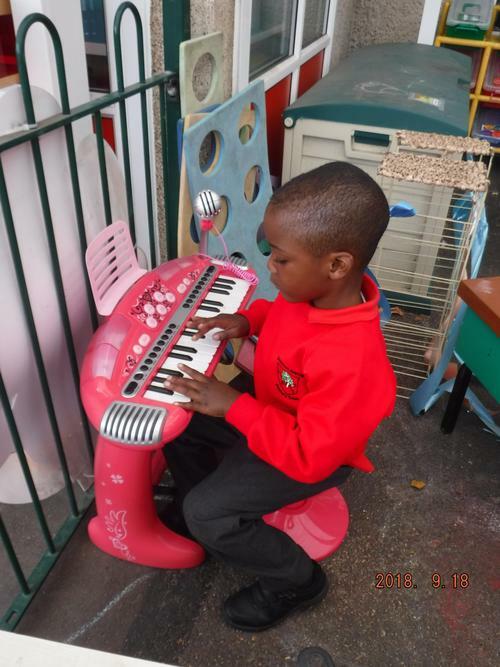 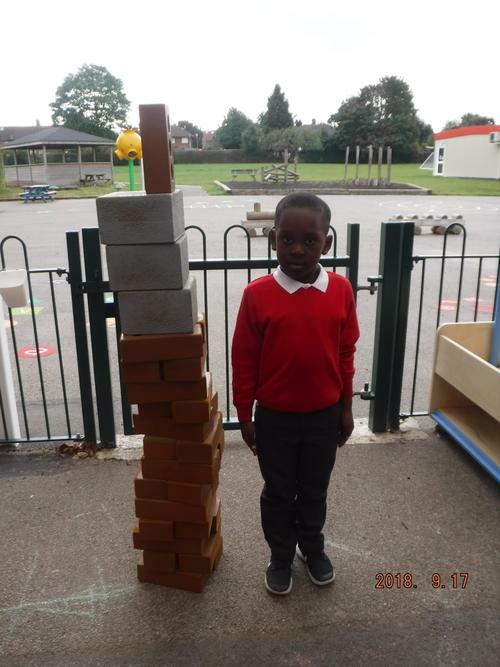 Here are just a few snapshots of life in Reception at Birchwood Avenue! 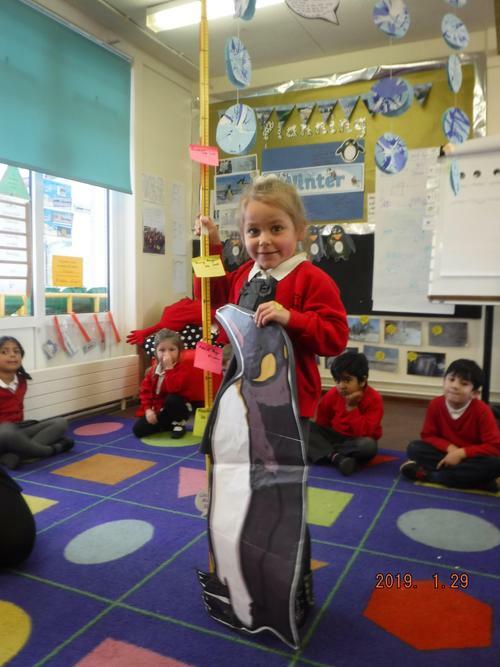 This half term we have been learning about Winter and Penguins. 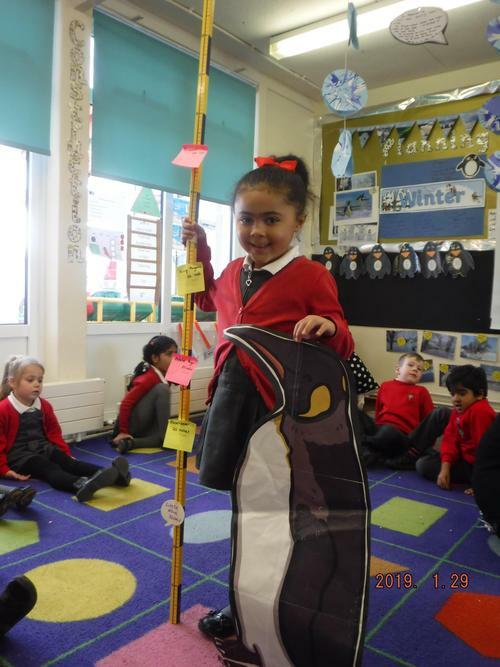 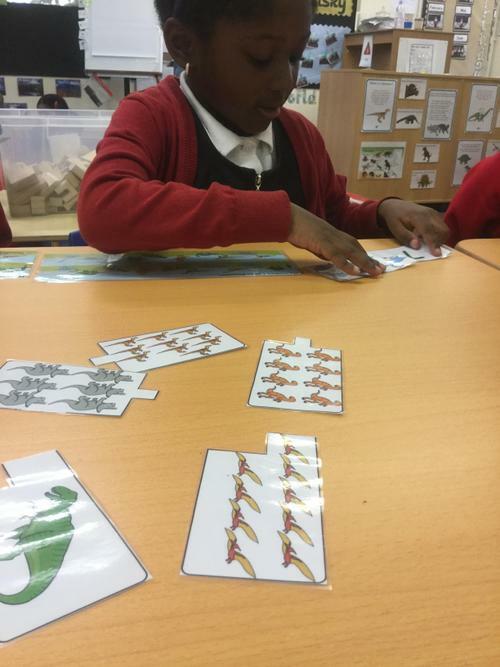 We have absolutely loved learning about Penguins and we learnt lots of interesting facts. 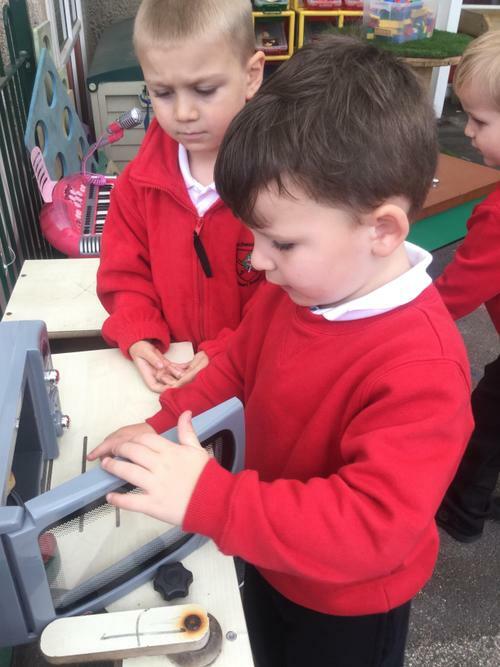 Our favourite story was 'Lost and Found' and we loved watching the penguin chick hatch out of the egg. 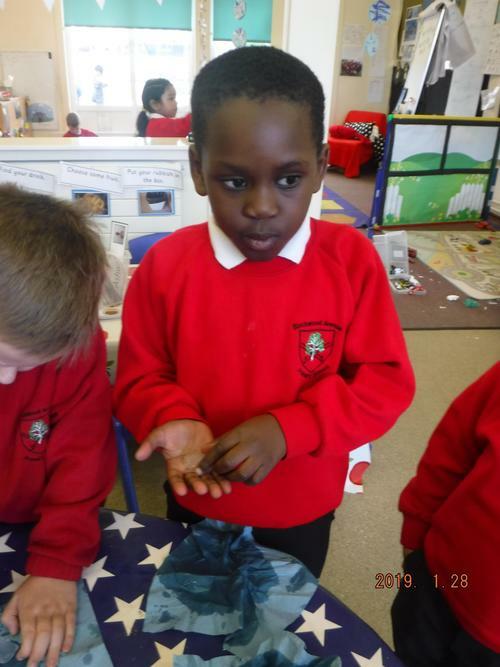 We were amazed when we observed an ice cube and how it felt in our hands and melted. 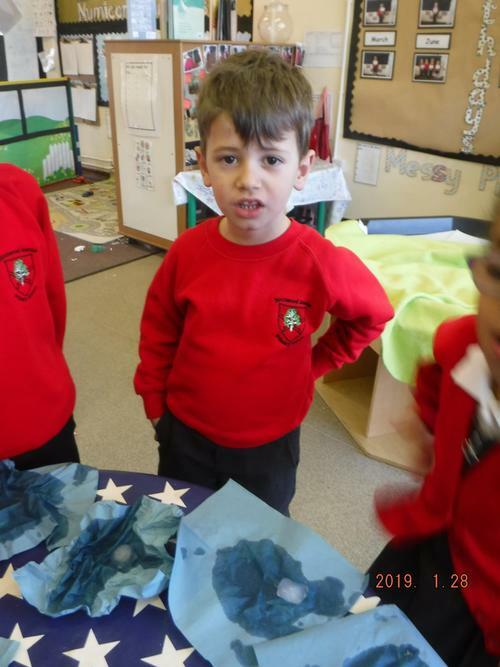 Reception have been having lots of fun this half term learning about Volcanoes, Dinosaurs and Christmas. 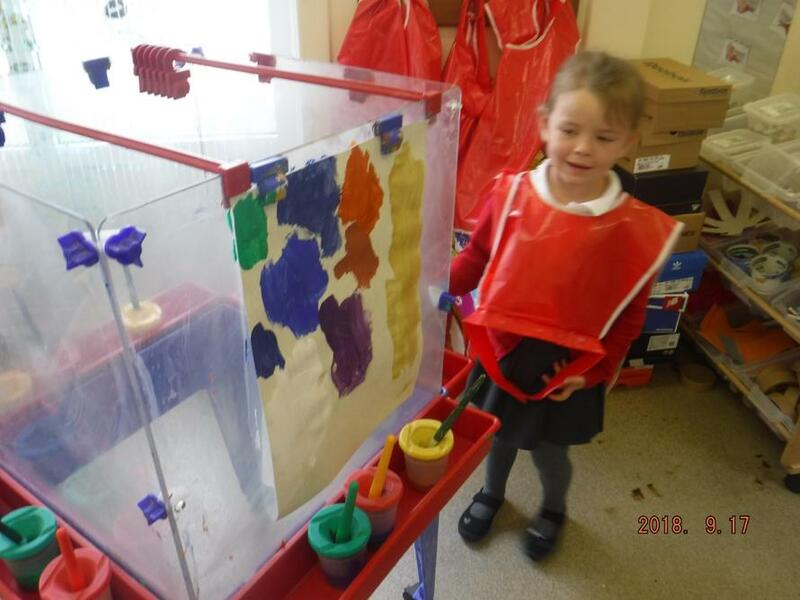 We especially enjoyed watching our very own volcano erupt and the exploding cola bottle. 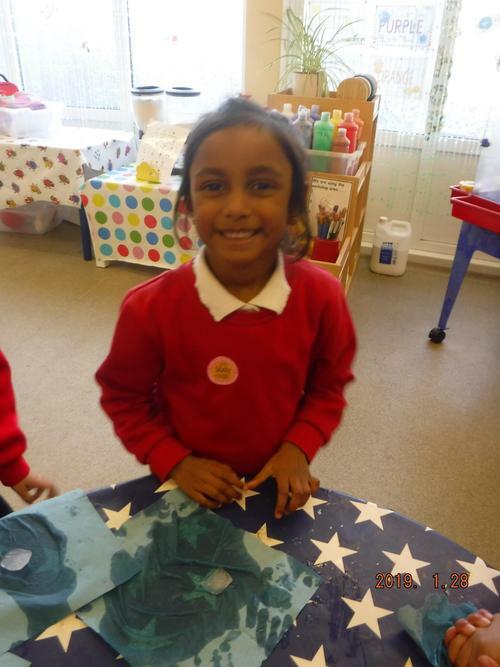 We have also looked at Celebrations and learnt about fireworks and Diwali and made our own Taj Mahal firework prints. 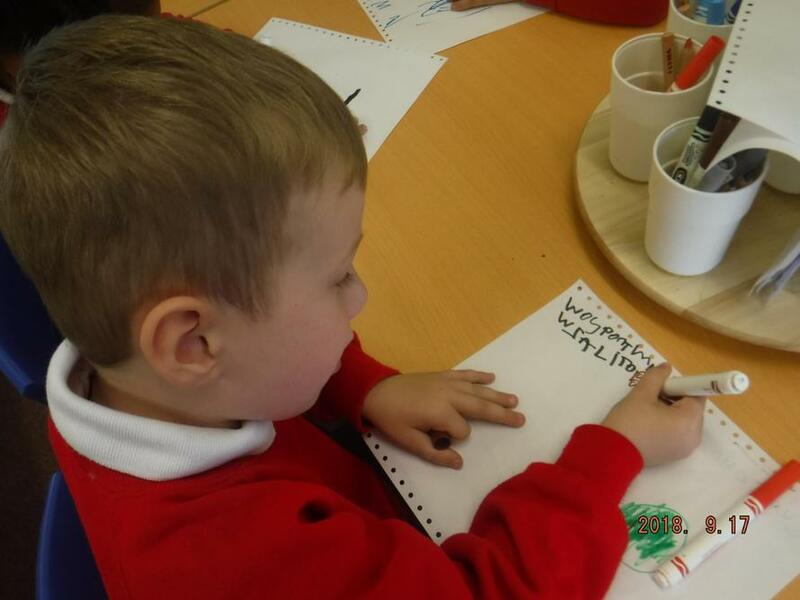 We have been busy learning our Christmas songs for our performance to our families. 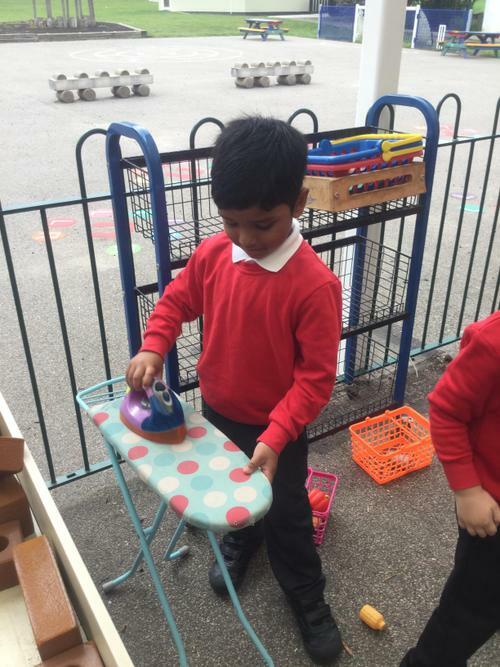 Our dance moves are out of this world! 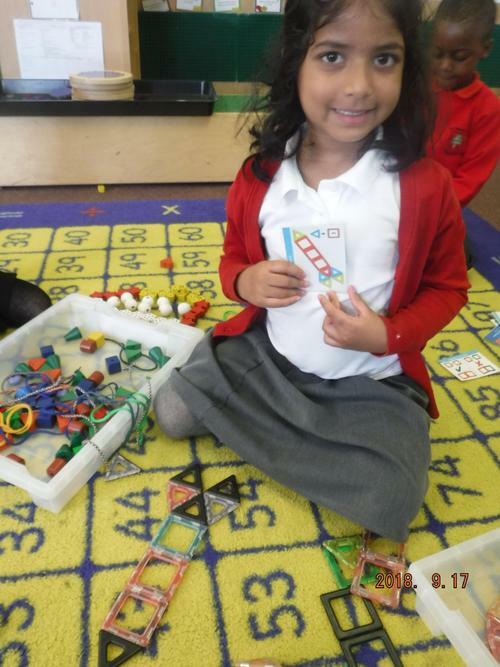 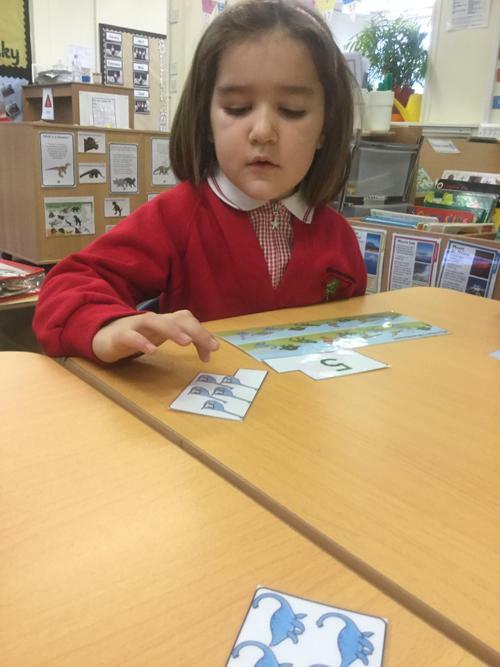 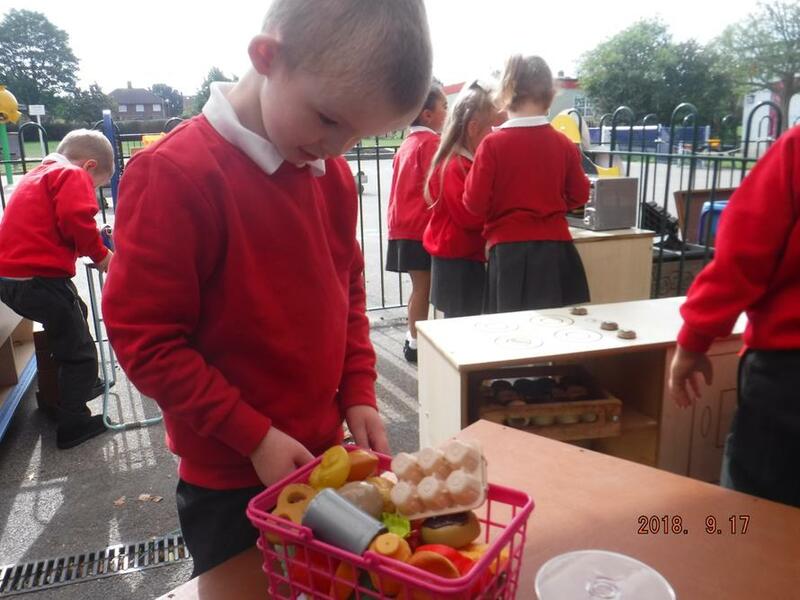 In Reception we have been learning to be Classroom Explorers and find out about our new classroom. 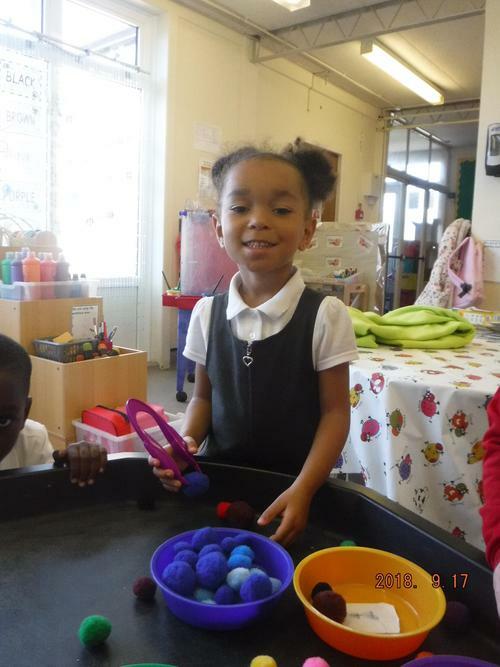 We have been learning to follow routines and the school rules. 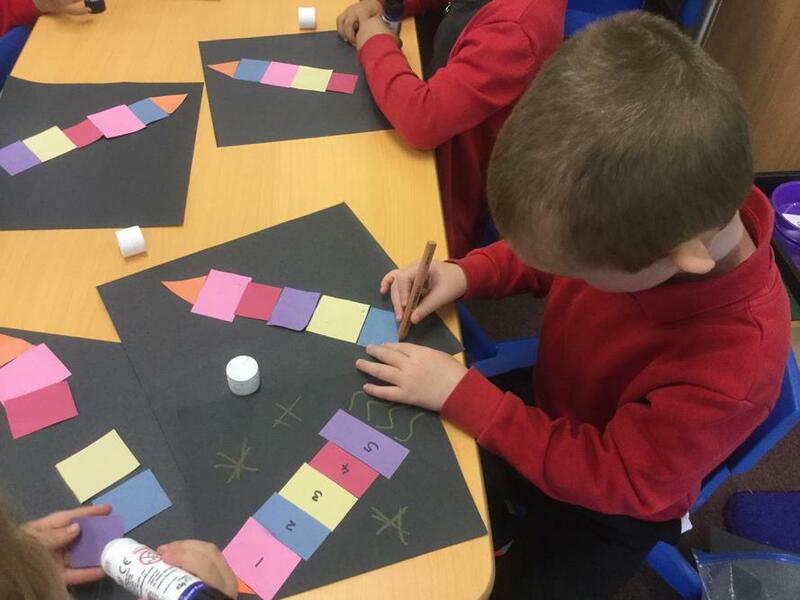 We have been learning about Colour and Pattern and looking at Elmer the elephant stories to help us. 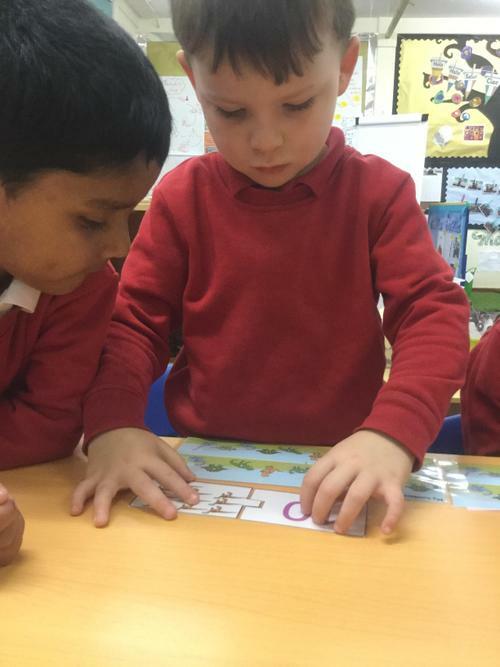 We've had a lot of fun already meeting new friends and learning.